Sometimes it pays to take the road less traveled. Such is the case when it’s the only road to the village of Huacatinco in the Ocongate region of the Cusco highlands of Peru. Here we were, five of us in a four-wheel drive pick-up truck, during rainy season, off to meet the artisans who hand knit alpaca hats, embellish their jackets, vests, and hats with white beads, and backstrap weave shawls and scarves. These artisans are the newest coop-member group of the Center for Traditional Textiles of Cusco (CTTC). Colorful knitting with beads, buttons and/or beads on vest with woven trim; handwoven poncho. The mighty Ausangate mountain frames the landscape. Light-colored dots in the distance become sheep and llamas upon closer inspection. The terrain, verdant now from all the rain, will brown by September. The paved road switchbacks down then up, and repeats this way for three hours. If you continue on this road, you’ll get to Lake Titicaca. But we turn off onto a well-trod dirt/mud, bumpy road sometimes hardly wide enough for two cars, ford over five flowing streams, until we’re greeted by two men dressed in colorful beaded garb. They hop into the back of the cab for the final climb up to 14, 500 feet until we arrive at the newly built Huacatinco weaving center. The view on the drive up. Ausungate mountain was almost covered by clouds. Raising alpaca and sheep are their livelihood. This wasn’t at all what we were expecting. 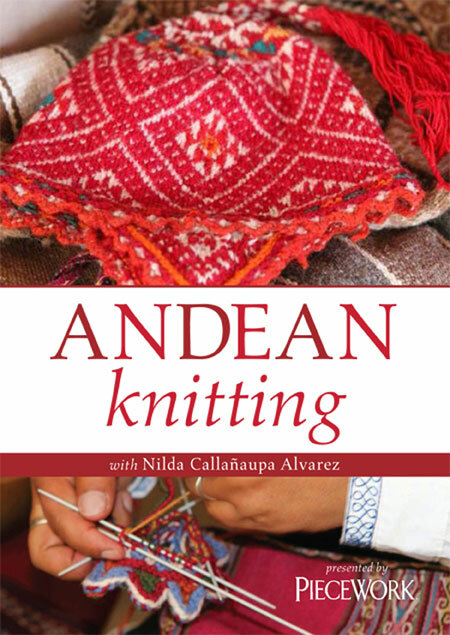 (“We” being three board members of Andean Textile Arts, a 501(c)3 supporter of CTTC, Nilda, the director of CTTC, and her husband Paulino, our very capable driver.) Nilda told us we would get there about 11:00, meet some of the artisans, see the Center, and have a simple lunch home before the long drive back to Cusco. ‘Twas not the case. Upon arrival, we were greeted by four musicians, the president of the association, and Santos, the center’s elder. Not knowing how to act, we lag behind Nilda taking photos when they clearly wanted us to move along. How do we welcome each other? We had practiced our Quechua phrases of “How are you?” and our reply, “Alli llanme (I’m fine too)” on the drive up. But the men greeted us in Spanish, giving us each a modest hug, single hand shake, and a slight pat on the shoulder. The women formed a greeting line too, welcoming us with a similar hand shake and close-to-cheek hello. The young women were simply stunning in their full dress. To a few, I said in Spanish, “Qué linda (how pretty)” to which they smiled shyly and muffled soft laughter. We were greeted by music. What colorful beauty in festive dress. Santos told us that many times he walked past the Center for Traditional Textiles in Cusco, seeing the finely-crafted knitting and weaving in the front windows, the artisans demonstrating inside, and tourists buying. He was determined that his village become a part of this and tried to figure out how. He had to convince both his community as well as CTTC that this would be right for both groups. It was years in the making. When they finally became members a little over a year ago, it was mostly active with men who did fine-gauge knitting of alpaca hats. Women were weaving for themselves and family but not much. One of the conditions for them to become an association within CTTC was to revitalize their dyeing and weaving and create products to increase their economic base. Santos, on left, wears the traditional hat and poncho. Benito, on right, has beaded his hat. Handspinning alpaca. Her carrying bag is a manta. 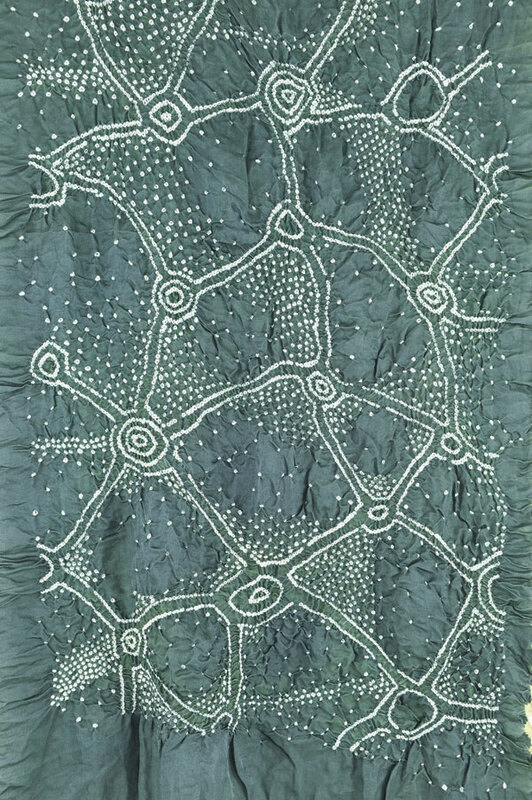 An example of a wrapping cloth (manta). 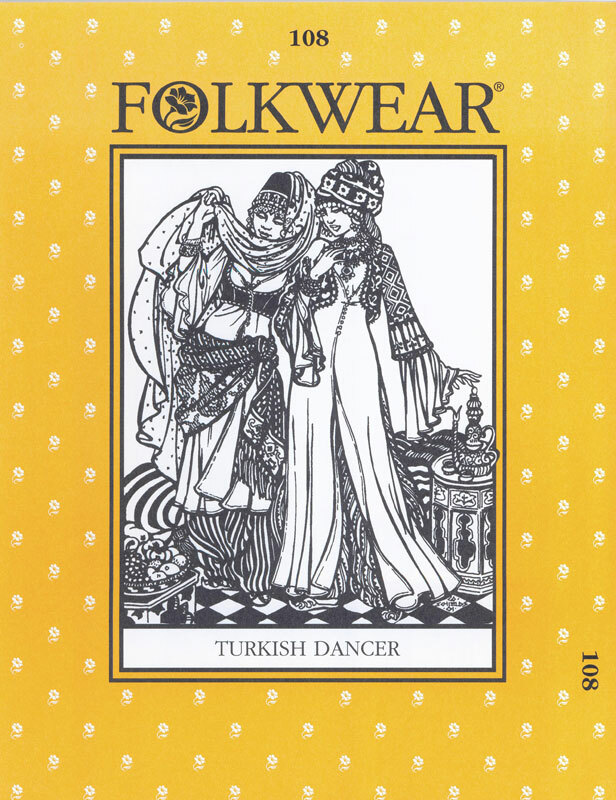 The embellishing of garments with beads started in the 1980s, inspired by the embroidery work on their vests and jackets. Knitting has been done here since the 16th century and the multi-colored intricately designed knitted hats, some made from handspun alpaca, have become laden with beads. One hat may have a kilo of white beads sewn on after knitting. 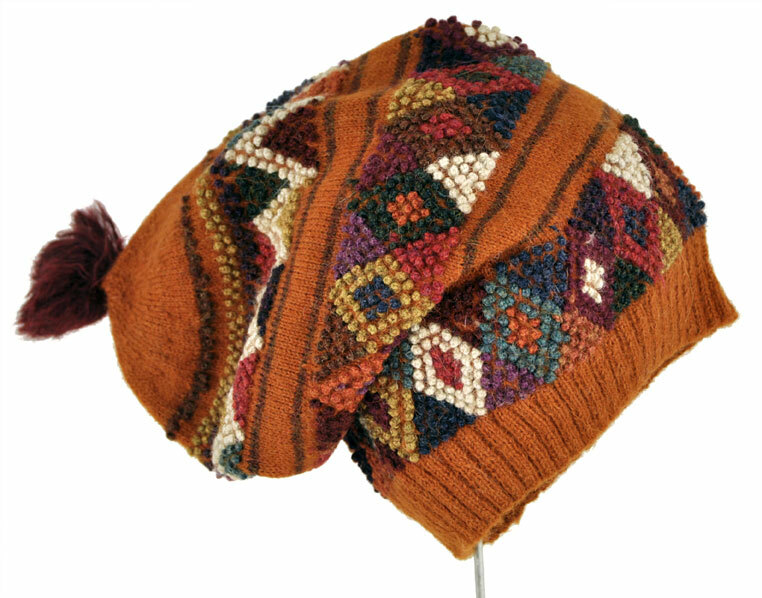 These knitted hats are worn by men but the women have adopted beading to their hats too by adding it to the beaded cords, called watanas. These richly embellished and colorful garments are now their traditional festive clothing and are not sold, although we heard they take special orders. Knitting the multi-colored hat. His vest is as colorful as the hat. The hearts on the vest say “LUVE”. Inside view of the colorful yarn bobbins used for knitting the hats. Detail of the beaded woven bands on the women’s hats. For the next hour, we learned more. Juan, the association’s president spoke, “Thank you for opening the door for the U.S. We live in such a high altitude location and are so isolated that few people come visit us. It was pressure for us to finish the Center but it is the nicest building in the community.” Others followed him with short welcomes, Nilda translating Quechua and Spanish into English. We spoke, thanking them, letting them know that many people will know about them (as soon as this blog is shared by you.). A middle-aged woman spoke, “How good it is to see women come here and speak with us, to thank us.” The musicians played between each speech. Our presents of bread, coca leaves, school supplies, lotions, etc. were given out. We were gifted with handwoven scarves and knitted hats. Thinking it was time to see the rest of the center’s buildings, we got up but instead of leaving we were escorted to the front table, served a hot lunch of pumpkin soup, potatoes, rice, and a high-protein mash of lupine seeds. Now it was time to see the artisans in action and out to the work shelter we went. The newly built center with meeting room, kitchen and shelter. By now, they were comfortable with us and in usual group get togethers, much chatter and laughter ensued. Out came their spinning, knitting and weaving. 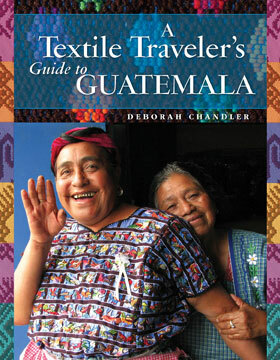 One older woman was deftly weaving a very intricate pattern on a backstrap loom while another fed her coca leaves. The newly formed youth group was seated together and knitting. It was good to see three young girls as officers! The young weavers group officers of Huacatinco. 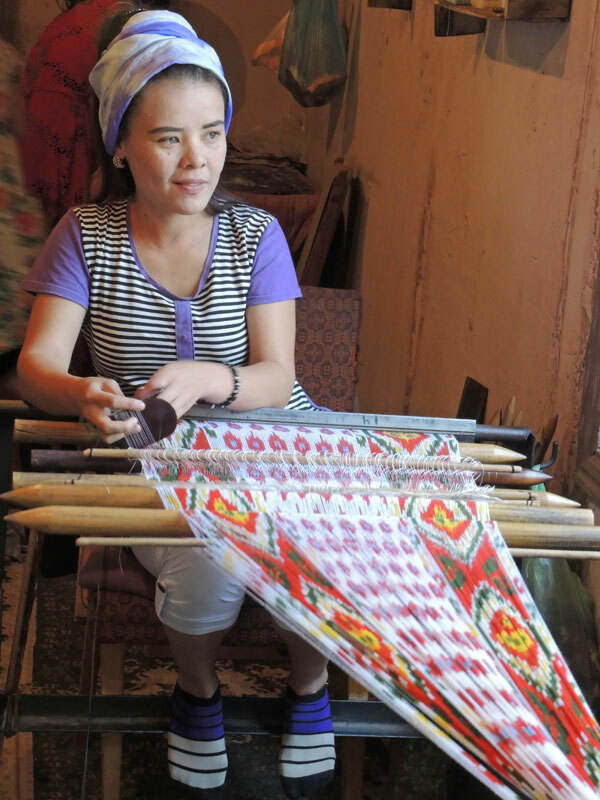 Women weave very finely detailed scarves and wrapping cloths on backstrap looms. After many group photos by us and them, we hurried our goodbyes as the rain storm was moving in quickly. A woman hopped in the back of the cab for a ride down to the paved road. And sure enough, within minutes of reaching blacktop, the rain pummeled down. These artisans linger in my memory–their determined yet gentle spirit, their graciousness and easy laughter, their talent of embroidery beading, knitting, spinning and weaving. This is why I take the road less traveled. Thanks for coming along the cloth road with me. 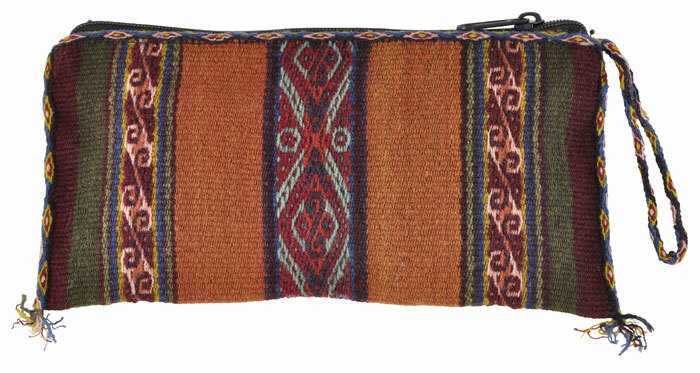 If you’d like to show your support for this community, you can make a donation through Andean Textile Arts here, or make a purchase of their hats or other products by the Center for Traditional Textile of Cusco. 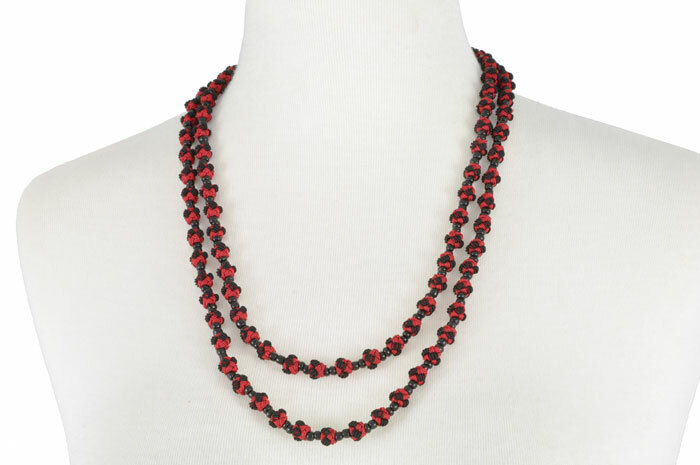 By doing so, you help sustain these artisans, their families and their traditions.